Lady Duff Gordon is the toast of Victorian London society. But when her debilitating tuberculosis means exile, she and her devoted lady’s maid, Sally, set sail for Egypt. It is Sally who describes, with a mixture of wonder and trepidation, the odd menage (marshalled by the resourceful Omar) that travels down the Nile to a new life in Luxor. When Lady Duff Gordon undoes her stays and takes to native dress, throwing herself into weekly salons, language lessons and excursions to the tombs, Sally too adapts to a new world, which affords her heady and heartfelt freedoms never known before. But freedom is a luxury that a maid can ill-afford, and when Sally grasps more than her status entitles her to, she is brutally reminded that she is mistress of nothing. When Sarah, a lady’s maid, accompanies her ailing mistress to Egypt, they enter into a world completely different than England. As they assimilate into the culture, and shed their corsets along with some confining rules of English society, the two women become comfortable in their new surrounds. When Sally falls in love with Omar, her lady’s dragoman, the idyllic life they enjoy begins to unravel. Sally is faced with some hard decisions when she realizes she risks losing everything. 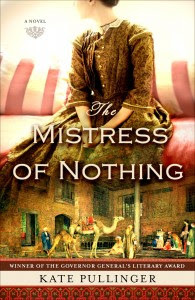 The Mistress of Nothing was shortlisted for the Giller Prize and won the Governor General’s Award for Fiction in Canada in 2009. 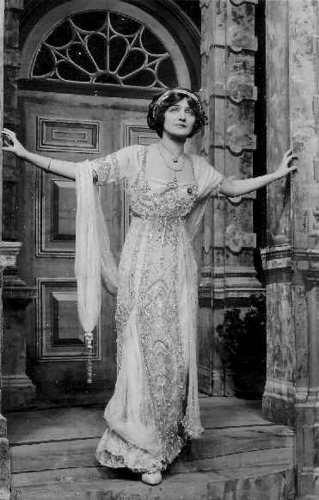 The author travelled to Egypt for research and based her story on the real life of Lady Duff Gordon. To read this novel was pure enjoyment. A poignant description of 19th century social values and prejudices prevalent, the reader is swept into the exotic world of 19th century Egypt. The author skillfully drew me into the story, creating romantic suspense as Sally’s life unfolds with unanticipated turbulence. It kept me on the edge of my seat, turning pages. Beyond its wonderfully creative plot, the novel truly is a statement of profound contrast and the ability for people to adapt or fail in the face of adversity. A highly satisfying read and one I highly recommend.